South Africa is home to one of the world’s most spectacular mountain chains, the Maloti Drakensberg Park (MDP). In these mountains and in the foothills below lies a treasure trove of priceless art left behind as a legacy of the oldest known inhabitants of South Africa, the San people. 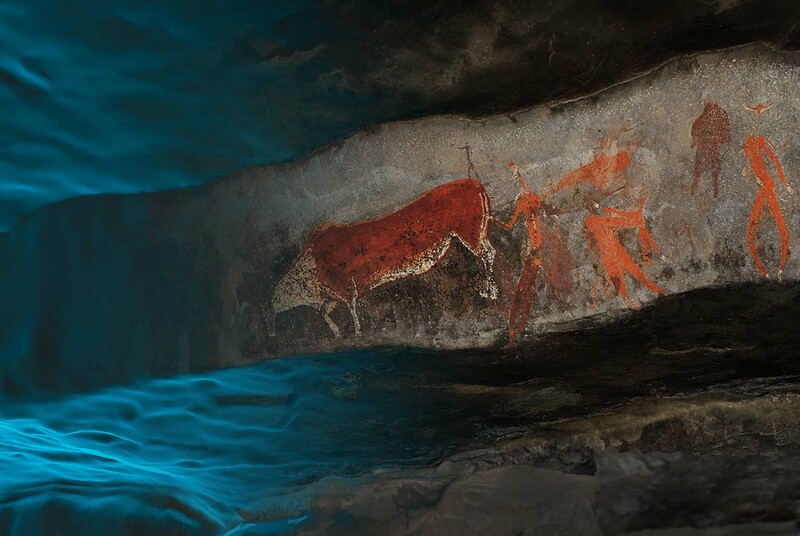 The rock art of the Drakensberg has been regarded as the only tangible record left of the San, who for the past 100 years have been considered an extinct people and culture. The global significance of their rock art contributed towards the listing of the MDP as a UNESCO World Heritage Site in 2000. The park contains over 600 known rock art sites containing 40 000 individual paintings dating back approximately four thousand years, the largest and most concentrated group of paintings in Africa south of the Sahara. Unfortunately much of the rock art has been damaged by vandalism, fire, vegetation and natural weathering. The fragile rock paintings are continuously exposed to the elements and are gradually deteriorating as time passes. 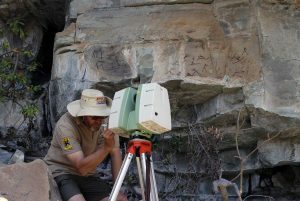 As restoration is not possible, it is of the utmost importance to digitally preserve the rock art so that the legacy of the San people will not be lost forever. ACT has been working with the University of KwaZulu-Natal (UKZN) and the provincial heritage authority, Amafa, to create a detailed record of these important sites and to deliver that information to the public. This includes millimetre-accurate 3D laser scanning, image enhancement, interactive mapping and the creation of virtual tours. Below is a YouTube video which gives a short summary of our work, and you can click on the buttons below to explore the online content.